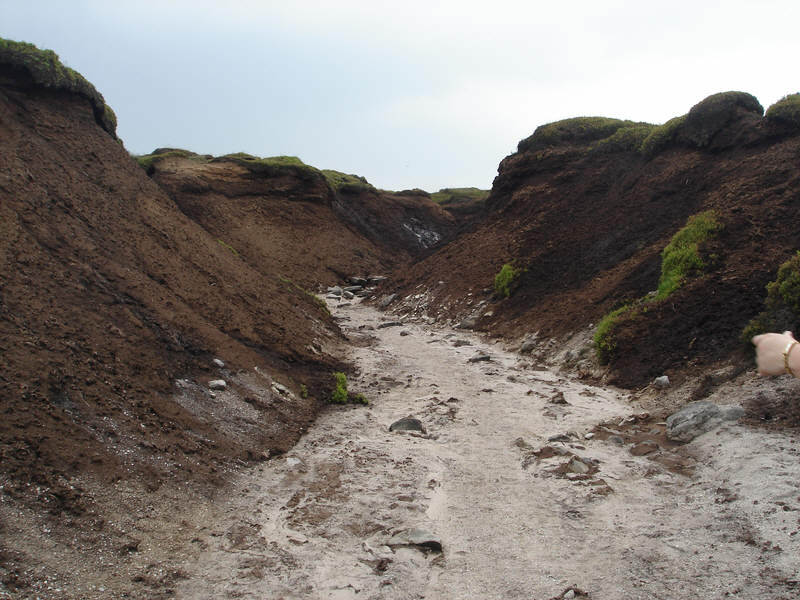 This is one of the countless peat gullies on the top of Kinder Scout. They may look like good paths, but they wind around and with no long distance views it is very easy to get turned around and find yourself heading in the wrong direction. Any attempt to cross the plateau eventually results in the need to climb out of the gully and onto the surface of the peat.